It was a family affair from start to finish, with everyone pitching in from planning to partying. 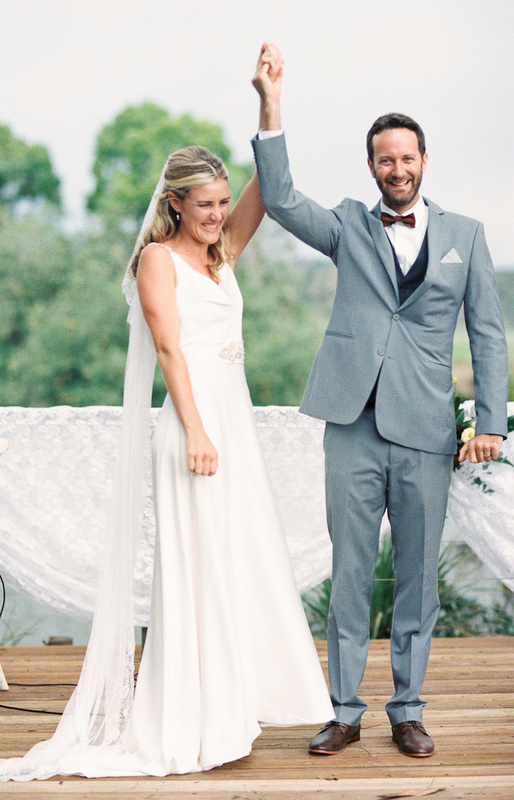 Guests flew in from all over the world for this destination wedding celebration, so they sure did it up right. 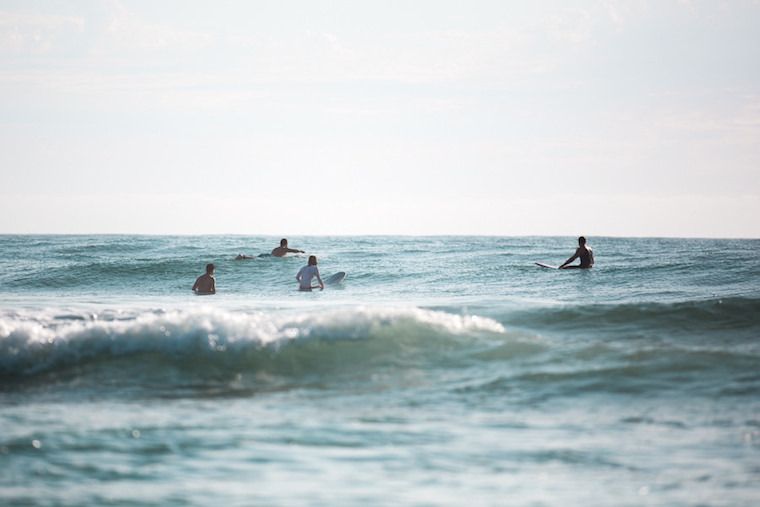 Bride Lauren started out her day with a family surf at Coolum on her new board, a present from her groom, Morgan. 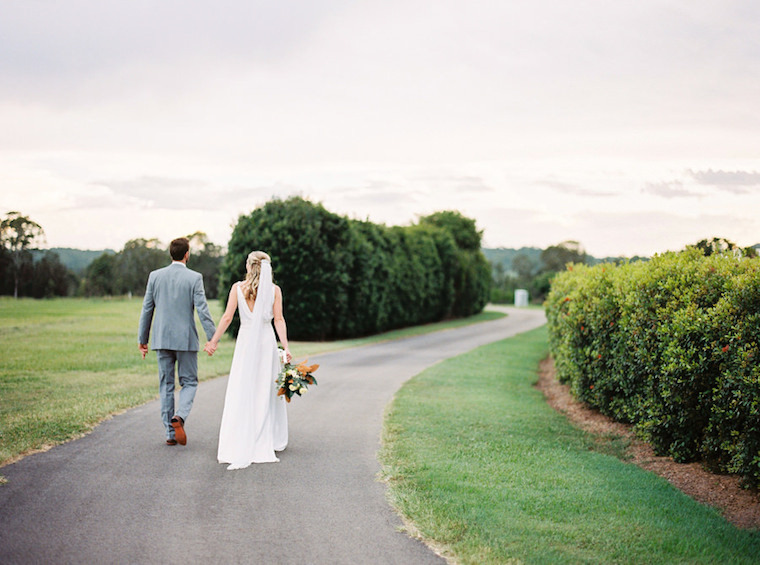 The two next met at their ceremony at The Rocks, Yandina, overlooking the serene Maroochy River. 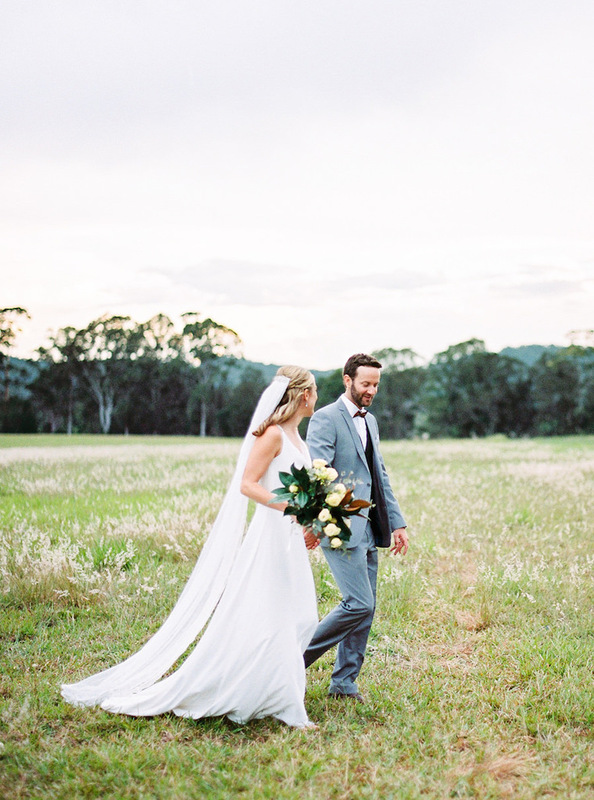 They then went on a little adventure with their photographers from When Elephant Met Zebra, and found some dreamy long grass nearby with a magical mountainous backdrop. 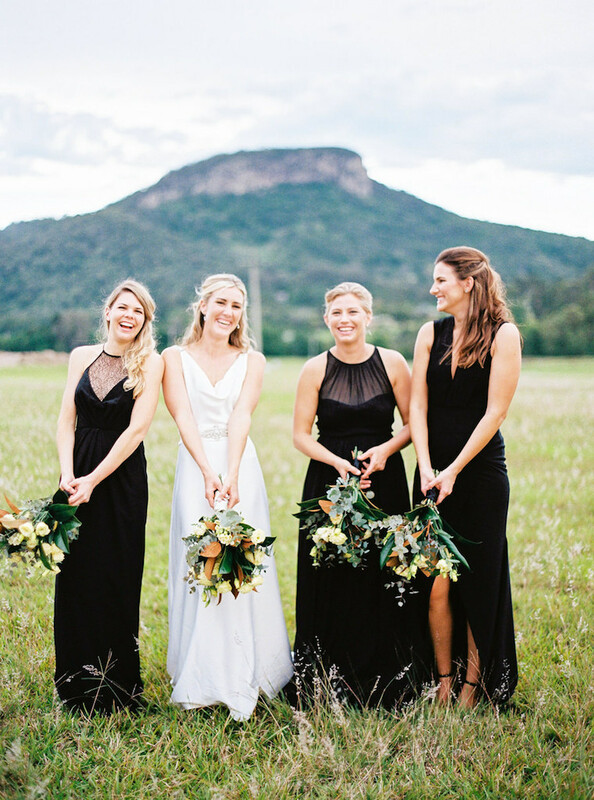 The rejoined their 100-odd guests for canapés and a family-style banquet, catered by First Class Functions back at The Rocks, and when everyone was merry and full, they all danced the night away. 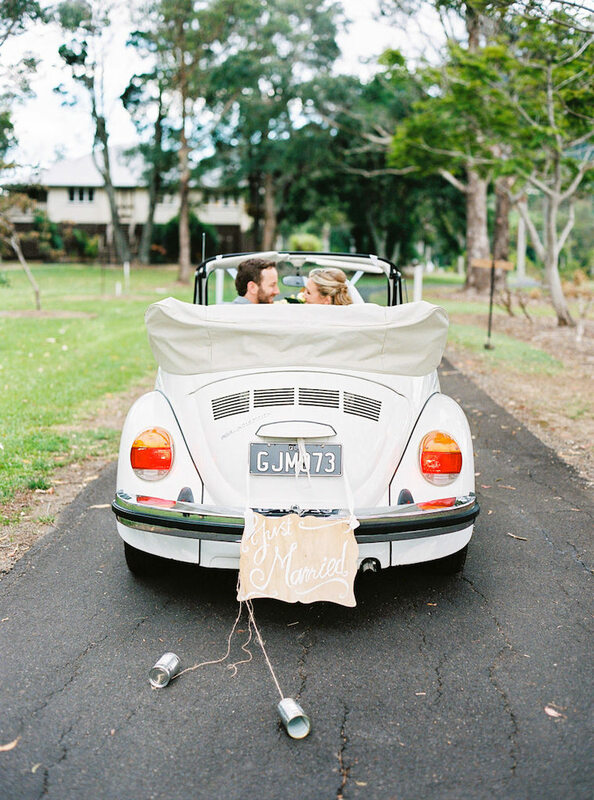 The happy couple chose secluded exclusive property The Rocks for their destination wedding. 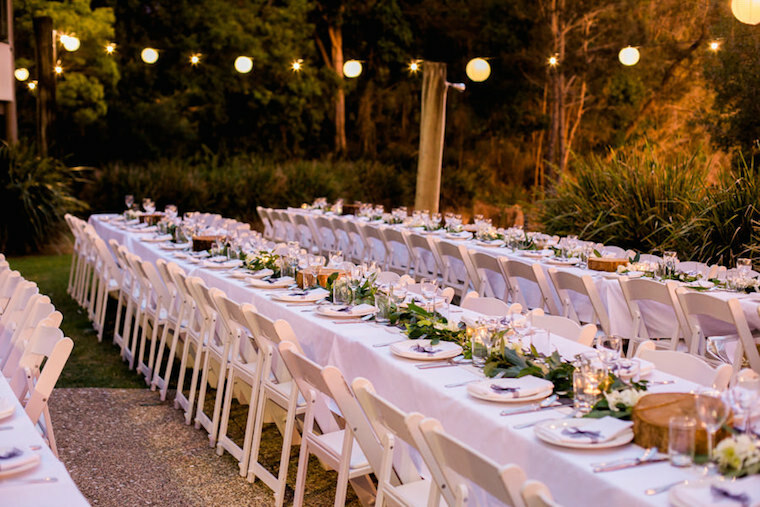 Their guests from all corners of the globe experienced the true charm of a countryside Yandina wedding, only ten minutes from the beach. Biggest splurge: Food and drink. 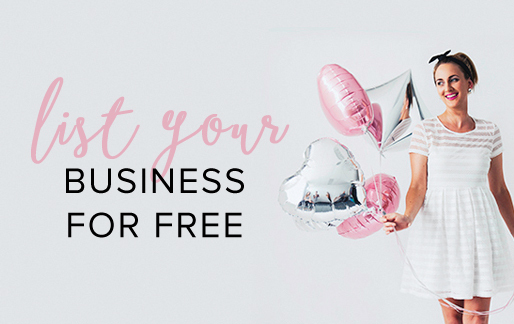 Best money-saver: Gumtree is your friend, this is where I found my dream dress and was able to offload a lot of our decorations to future brides to be recycled. 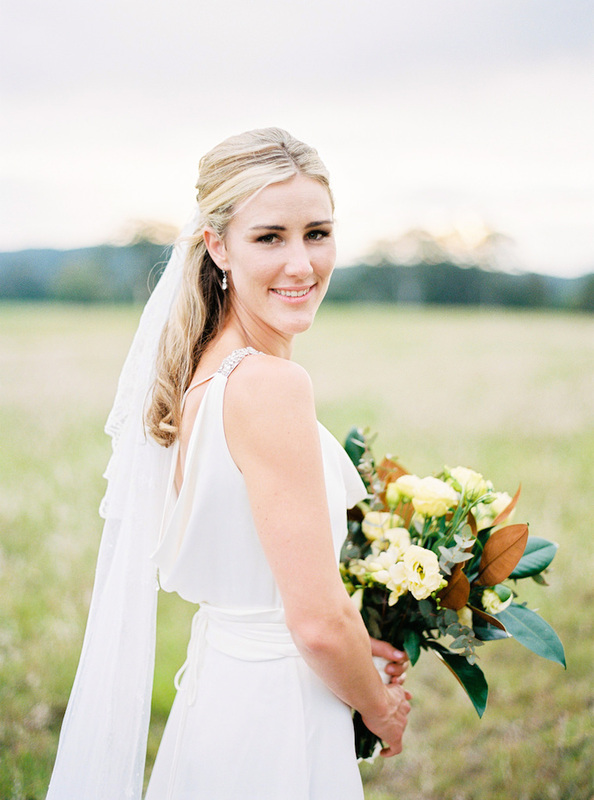 Bridal gown: Caleche “Jenna” gown, purchased second-hand on Gumtree for $750. Accessories + shoes: I had Romano’s Jeweller make a mate to match my Granny’s missing earring (which I lost in my wild youth), I pulled apart a bejewelled belt I bought on Gumtree for $50 to create three separate diamante broaches, one to go on the comb with Morgan’s great great grandmothers veil and 2 to create some custom wedding shoes from plain white ones purchased for $30. 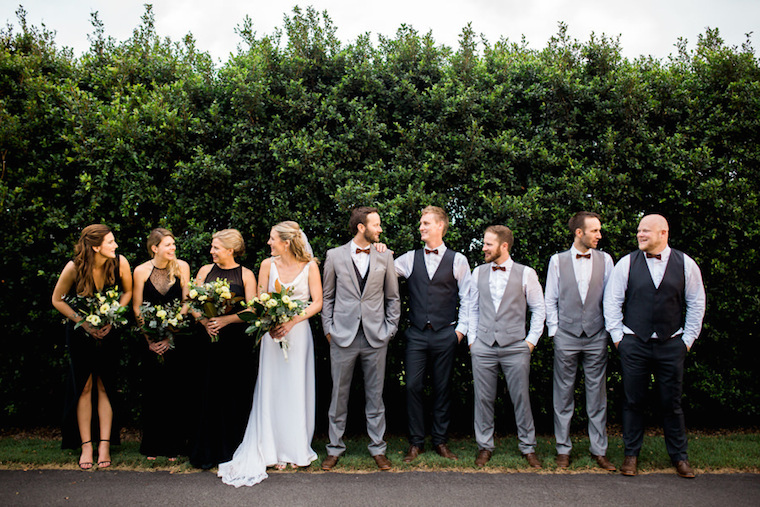 Bridesmaids’ dresses: Each chose their own – J Crew, Sheike and Zimmerman. 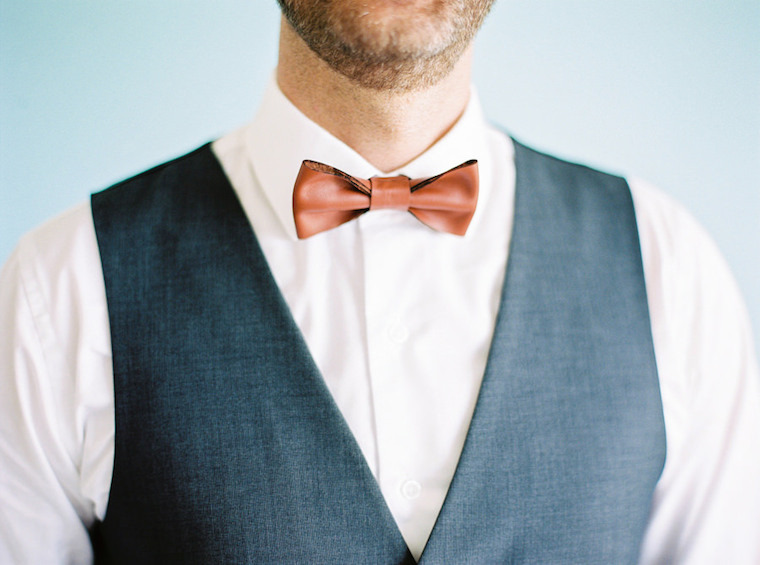 Groom and Groomsmens’ suits and shoes: Michael Innes suits, Bow ties to Match leather bow ties, The Iconic shoes. 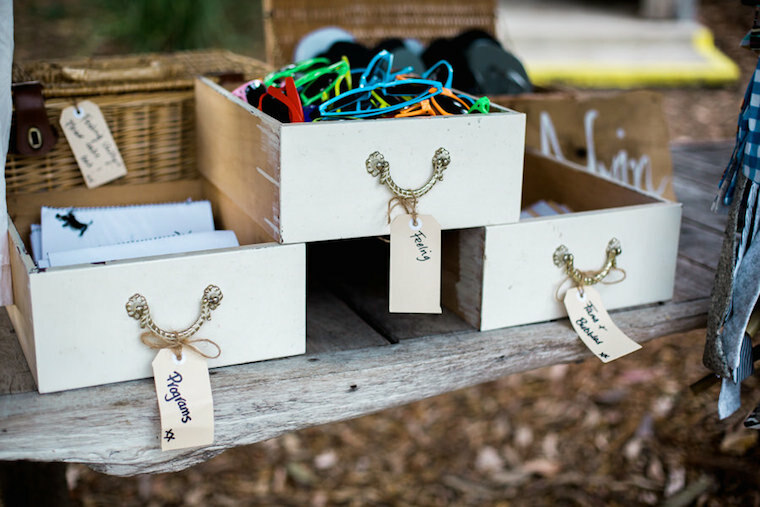 DIY: 80 bow ties for the bow tie bar, calligraphied aisle runner, a sign post showing the distances travelled by guests, wine bottle table numbers. 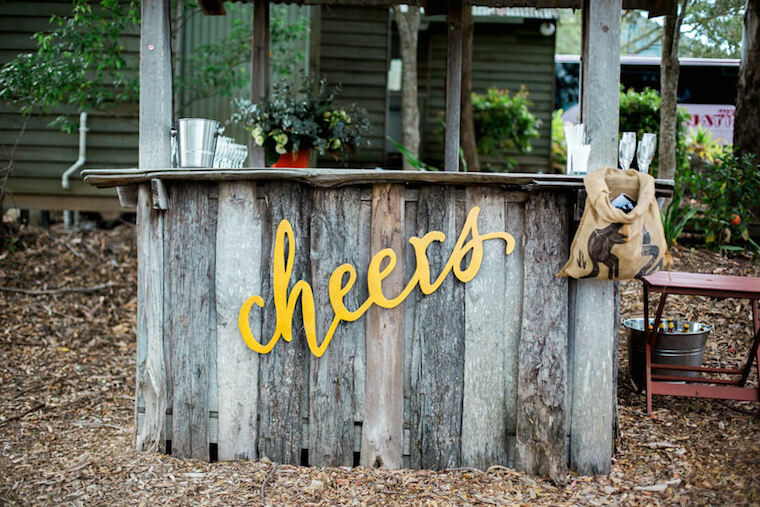 “We loved the idea of shared family style meal which would be incomplete without great wine. We got our wines from Naked Wines who fund independent wine makers directly, I am a bit obsessed with them and it meant we had unique wines for our guests to try.